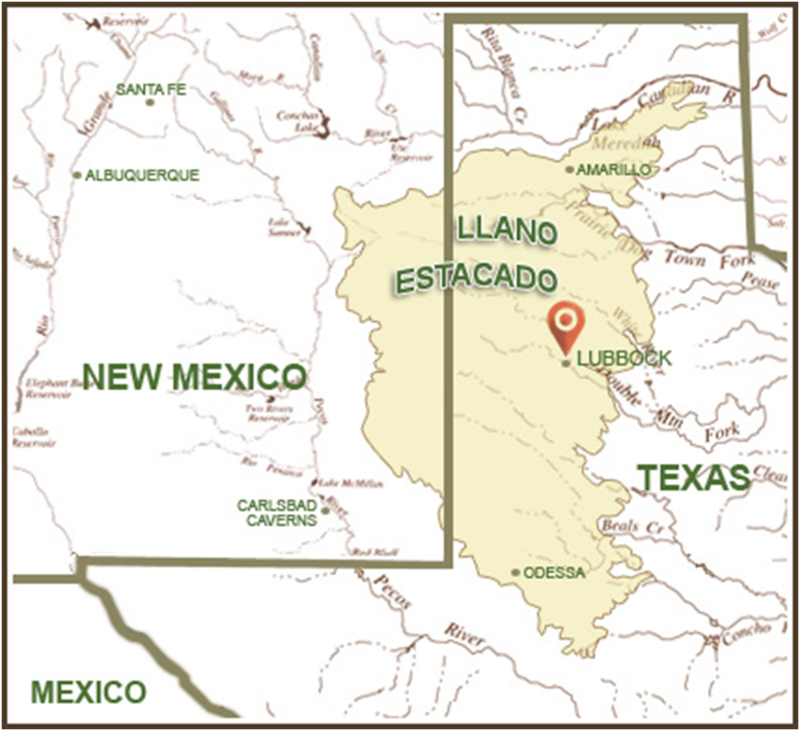 In the Llano Estacado (Figure 1) thousands of playas, or shallow depressions, dot the landscape.Playas have a clay soil base that allows it to hold water and become what are called “playa lakes” when water is present (Figure 2). Playa lakes are considered ephemeral meaning they only contain water during certain months of the year and are dry the rest of the year. Saltwater playa lakes also exist on the Llano Estacadowherewater within the playa is salty or alkaline. Other terms for these saltwater filled playas include: salt flat, salina and alkali flat. 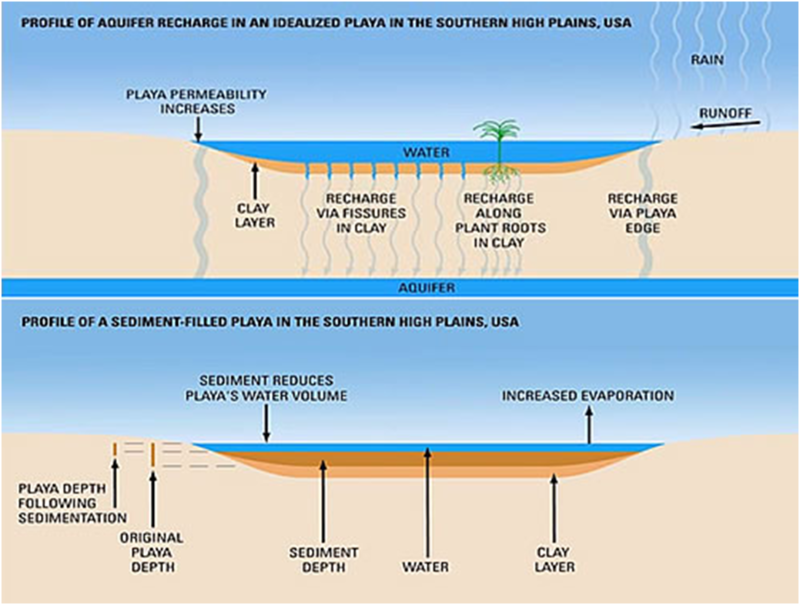 Both fresh and saltwater playas receive their water sources from rain and underground aquifers (Figure 2). 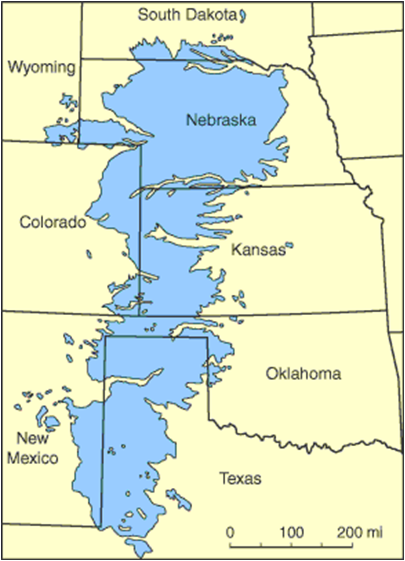 The most prominent aquifer within the Llano Estacado is the Ogallala aquifer (Figure 3). Water containing salt and minerals transported by aquifers and rain fill the playas during particular times of the year. As evaporation of fresh water takes place in the arid environment, the water remaining becomes more and more alkaline as salt and mineral deposits are left behind. 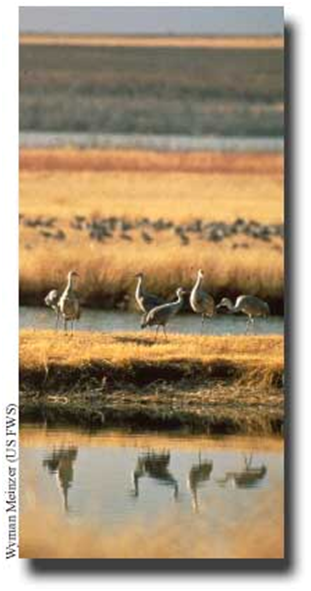 The Sandhill Crane populations that migrate through the Llano Estacado at the Muleshoe Wildlife Sanctuary roost in these saltwater playas during the night and feed off of neighboring grasslands and marshes during the day (Figure 4). 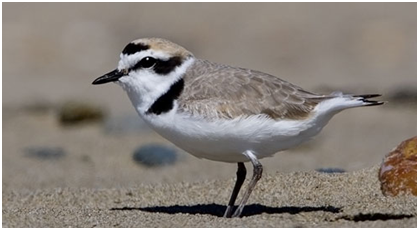 In addition to the Sandhill Cranes, the Western Snowy Plovers (Figure 5) have been found to prefer the salt playa environment along with brine flies and brine shrimp (Figure 6, 7). 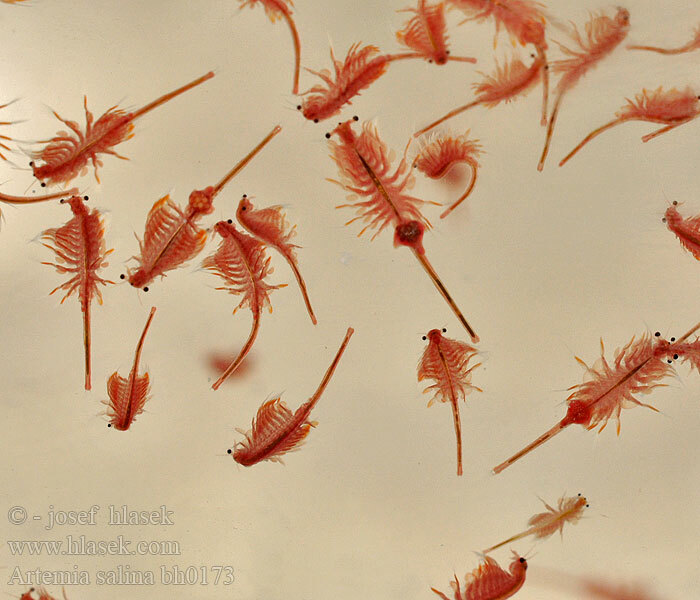 Brine shrimp live in the salty water and feed off of algae since they can withstand a wide range of salt concentrations which makes them perfect for the saltwater playa environment. 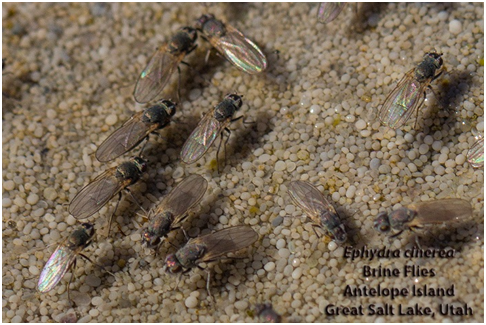 Brine shrimp and brine flies also provide food for other wildlife. Major threats to both saltwater and freshwater playa lakes include: sedimentation, irrigation (farming) and pollution. Runoff of mud, clay and soil into these playa regions reduces the amount of water that can collect after a rain or from an aquifer, thus reducing the availability for plant and animal life to access water resulting in a decrease of biodiversity. 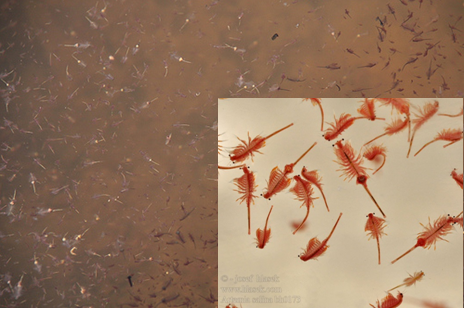 The influx of sediment transported by wind is also a contributing factor reduced volumes of water a playa can support. The agricultural industry significantly impacts the availability of water in both playas and underground aquifers as the water is used for the irrigation of crops.Pollution also threatens both playa lakes and aquifers. Chemicals that percolate into the underground water table and playa lakes decrease the purity of water and threatens the sustainability of plants and animals in the area that depend on these vital water sources in a highly arid environment.